Charge: 1. 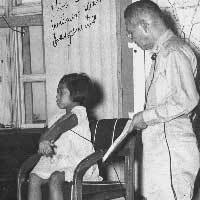 Violation of Laws and Customs of War - at Mitsuchima Prisoner of War camp between Nov. 1942 and Sept. 1945, committed atrocities against prisoners. Reviewing Authority's Recommendations: The accsued was found "wantonly derelict" in his duties despect having been aware of his duty to protect and treat prisoers fairly.